To celebrate & promote May the Fourth Be With You! (And Revenge of the 5th)! 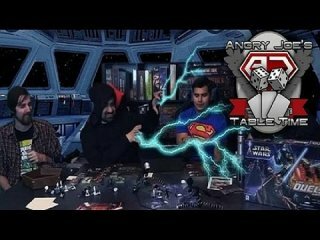 we play Star Wars board games on stream! On this Episode of Tabletime we take a look at this now 13 year old highly sought after discontinued board game from Milton Bradly! This Video Game Review was released on May 5th 2015 by Joey Vargas.